Dr Peter Harper trained at University College and University College Hospital (MB BS 1970) and has been a leading consultant at Guy’s and St Thomas Hospital for over 25 years. He is both an accredited physician and a medical oncologist. One of the four founder partners of the London Oncology Clinic, his vision was of a clinic dedicated solely to cancer treatment offering the highest international standards of care in a state-of-the-art supportive environment, also providing the support including all the ancillary care required by patients and their families. In 2002 he was awarded the prestigious Cino del Duca Medal in 2004 in recognition of his work in developing new anti-cancer and vaccine therapies. 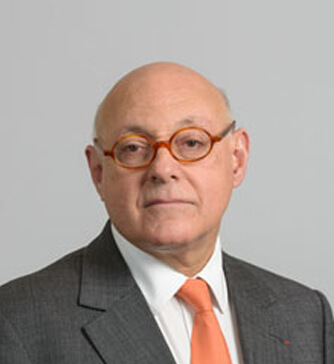 For his role in advising the French Government in strategic cancer care (Board Member French National Cancer Institute) he was appointed a Chevalier of the Legion D’Honneur, a rare distinction for a foreign national. He remains on the board of INCA, the strategic committee for cancer treatment in France, and is currently the Chairman of the Toulouse Cancer Centre and holds the Medaille D’Or of that city.